The Study of Witchcraft is a compendium for Wiccans who want to deepen their understanding of their traditions. Advanced Wiccan reaches beyond Wicca, delving into topics as diverse as history, psychology, divination, and lucid dreaming, The Study of Witchcraft introduces the reader to these topics, discussing each in depth and offering a one-of-a-kind course of study -- including recommended reading, offering readers --increasingly, solitary witches -- a self-study guide and a rich resource. The Study of Witchcraft includes information for all sorts of Wiccans; traditional, eclectic, radical, groups, and solitary. Wide-ranging topics also include Western occultism, myth and folklore, meditation, astrology, the Burning Times, history, herbalism, and much more. * Written for the needs of the modern wiccan, who learns primarily by self-study. 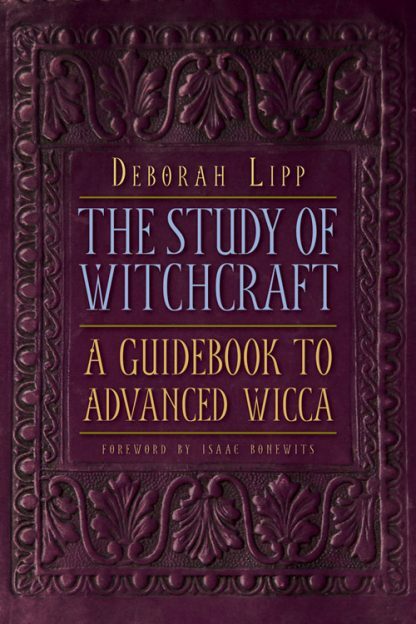 Deborah Lipp is an active "out of the closet" member of the Pagan community and has appeared on various media sources, most notably on the A&E documentary Ancient Mysteries: Witchcraft in America as well as on MSNBC, in The New York Times, and others. Deborah is also the author of several highly regarded books including The Way of FourThe Ultimate James Bond Fan Book. She lives with her son in suburban New York.